If you are in the process of planning a large group visit to the greater New York City area, a charter bus rental has probably crossed your mind. Best Trails and Travel has been operating charter buses for many years in the NJ and NYC area. If you are looking to book a bus charter New Jersey or New York, Best Trails & Travel is the company to call. Our luxury coaches come fully equipped with TV, DVD, CD, Wi-Fi and tables to make your charter experience with us a comfortable one. In this economy, chartering a bus is often one of the most economical choices for travel. 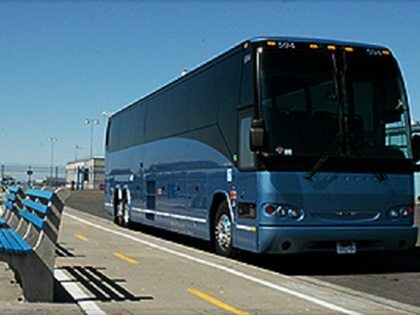 The rising cost of fuel and the unreliability and limitations of air travel make charter bus rental the preferred method of transportation of large groups. When you decide to use a bus charter New Jersey can be the destination or just part of the journey. If you need some help planning your trip, Best Trails and Travel's customer service representatives will gladly walk you through any steps you need assistance with. Best Trails & Travel hires only the most professional and experienced drivers. Highly skilled in handling large vehicles, our drivers are competent and comfortable navigating any and all road conditions. On a bus charter, New Jersey can be easily seen and toured. Finding parking or paying for valet service is no longer a concern for you. Call Best Trails and Travel at 212-206-6974 to hear how we can help you plan your next large group adventure.